If you're anything like me, you appreciate a nice hot meal at the end of the day. 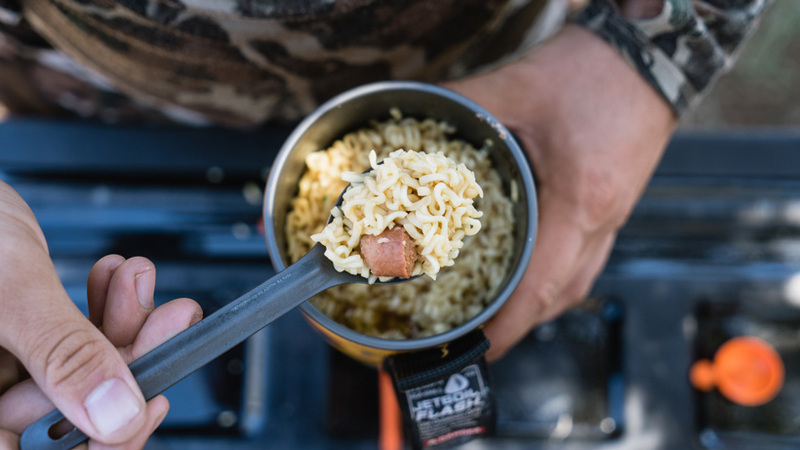 It's just incredibly nice to come back to camp after a long day of hunting and have a hot filling meal to cap everything off. It's equally nice to be able to sit high up on a glassing knob with a hot cup of coffee while scanning the surrounding hills for deer. Backcountry hunting is hard enough as it is so having little luxuries like these go a long way for me. They give me a sense of comfort much like home. In order to achieve these little wins on the mountain, though, you are going to need a good stove to get you there. 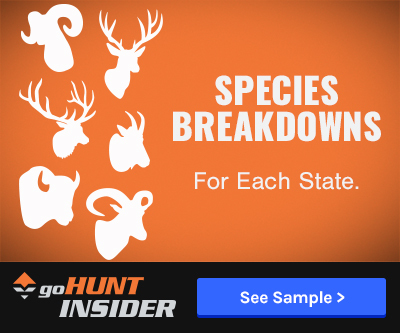 From ultralight, all in one system, and even customizing your own, there are plenty of options out there for the backcountry hunter. Which is right for you? It is the battle of the stoves! Who will win? The name says it all. These are going to be the lightest of the light, oftentimes tipping the scales by just mere ounces. Some great options are the MSR PocketRocket 2, Soto WindMaster and the Optimus Crux Lite, On top of that, they also tend to be the most packable. 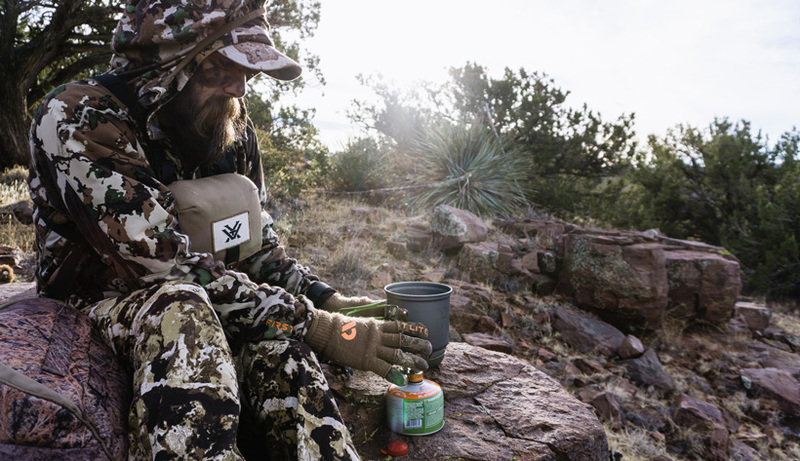 Space is precious in our backpacks and these bomber little stoves lend to that. Even though they are small, they sure do pack a punch. Boil times sit right around two to three minutes with most models. However, this, as well as fuel efficiency, is going to be a direct reflection on wind. We'll get into that later. So, how do these little guys work? Pretty simple. The small stove screws directly onto your fuel canister, you turn a valve to release the fuel, then you light the stove with either an igniter or lighter. Set your cup on top with the desired amount of water and wait. Done and done. An ultralight stove isn't going to break the bank either, which is always nice. So, now the downfalls. Many of them don't have a wind blocker, which can be a problem. If there is a good wind, your boil times might skyrocket up into the area of eight minutes as opposed to the original two to three. Of course, you can jimmy rig a wind blocker out of your gear or the surrounding area. I've used my pack, boulders and even built small rock walls to block the wind. I guess it just depends on how much you are willing to "deal with" in order to have less weight and more room in your pack. Another potential problem is the chance of actually knocking your cup of boiling water off of the stove. I've never done this myself, but have almost done it and have heard of it happening to others. In that regard, I'd caution you to be mindful. Boil time suffers in the wind. Less fuel efficient with wind. So small you might actually lose it. More chance of knocking the cup off of the burner. I am going to go ahead and say that this is probably going to be the most common route that most folks go. The all-in-one systems out there are so convenient in terms of functionality, ease of use, and efficiency. It's basically a one-stop shop in the name of backcountry stoves. These stoves usually come in the form of a large cup that holds everything that you need inside: Fuel canister, stove, igniter, spoon, etc. The cup connects to the stove, which then screws onto the fuel canister. This eliminates the chance of you knocking the cup off of the burner accidentally. Many of these models are also wind resistant. For this reason, they are very fuel efficient and your boil times are not going to suffer in the wind. Those boil times sit around two to three minutes. 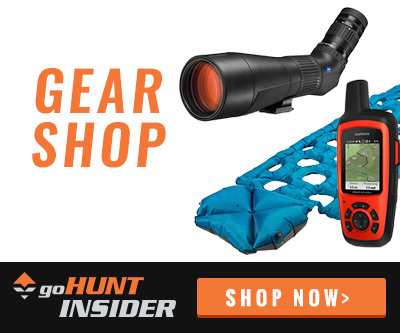 Some great options are the Jetboi Flash, MSR Reactor and the MSR WindBurner and you can even include the Optimus Elektra FE stove in this category. As opposed to their ultralight cousins, this is where the all-in-one systems fall short. They are bigger, bulkier, and are going to weigh more. Most sit around 1 to 1.5 lbs and are about the size of a Nalgene bottle when all packed up. That might sound small, but when you compare that to the likes of the ultralight version, it is not. Another downfall is going to come in the form of price. 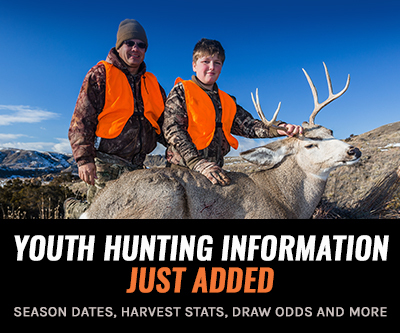 It is an all-in-one system and you are paying for the convenience of it all. For that reason, they are going to be quite a bit more expensive than what was mentioned above. I guess the question is, what price are you willing to pay—both financially and weight/packability—for convenience? While they are easy to use, they tend to have more parts than other options. The all-in-one stoves win in the convenience category, but even the ultralight stove options have certain kits that you can buy for them. These will come with cups, spoons, igniters, cleaning devices, etc. These will give you all that you need for a trip. With that being said, you can also build your own. You might find that there are certain things within the kits that you might not like. For instance, if you are a coffee drinker, I'd stay away from cups that don't have some type of cover that they sit in to shield your lips from the hot cup. If you don't have that, you'll be burning your lips in the name of drinking coffee. Not cool. 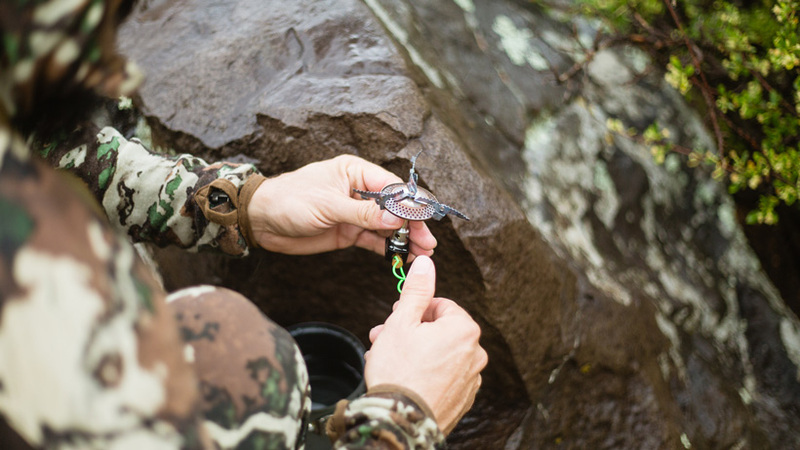 This is one of the beauties of backpack hunting gear. You can mold things however you want. This is the route that I go personally. 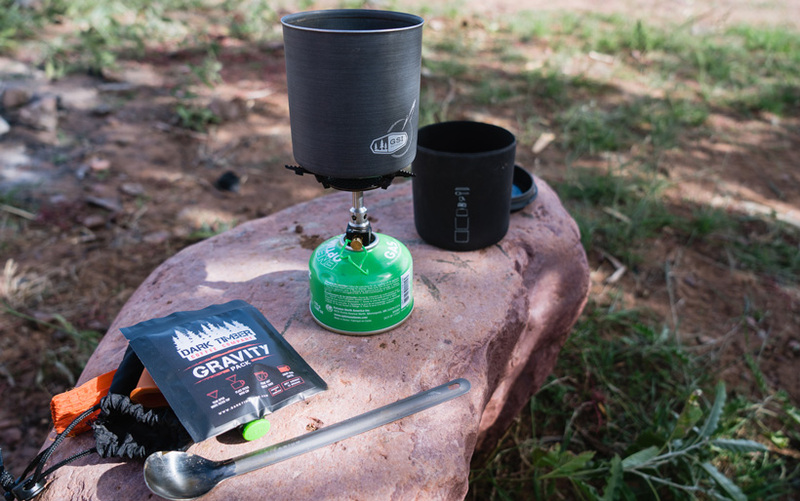 I pair an ultralight stove with that of a cup system that I really like. This option does lend more to the side of the ultralight stoves out there, but it is definitely something to think about. So in the end, who wins? That is largely going to depend on the person using the stove. No matter the route you decide to go, it's all the same in the end, right? We are all looking for a quality stove that we can depend on to deliver us what we need. Beyond these stove styles, there are still several more options. Fortunately, with all of the brands and options available, there is a stove out there for everyone. Each one comes with its own pros and cons, but that is the case with all gear items. One's cons might be nonexistent to another. The same can be said about the pros. The point is: get out there and try this stuff out. Pick something that works for you and your system—not someone else's. With a little time and effort, you'll find out what the best stove is for you. I’ve been a Jetboil guy for a while, but am toying with the idea of adding a BioLite to my kit. Love the discussion of the pros and cons in the comments, thanks all! Good comments. The way I read the USFS fire restrictions, cooking is restricted to petroleum fuel sources. https://www.fs.usda.gov/detail/okawen/home?cid=fsbdev3_053600 "Pressurized or bottled liquid fuel stoves, lanterns, or heating devices are permitted". I have a Firefly UL wood stove from qiwiz.net. It is only 3 ounces and packs down very small. I use it for a lot of extended trips. As Bendrix mentioned, there are some downsides to the wood stove. I would add that the soot that you get on your pot from a wood stove is another drawback. But, the overall savings on weight is worth it. The Firefly doesn't give you the charging capabilities of the Biolite. But IMO, the lower weight more than makes up for that. I also have a titanium grill that attaches to my Firefly. Great for grilling a small trout or warming up some tortillas. The question of fire bans and the use of a BioLite is interesting. I'll have to show mine to an FWP warden and ask. I think since the flame is fully contained inside the BioLite it would be in the same class as a gas stove, or a wood burning box stove. I checked the weight of that Supalite. Online the stove alone is listed just over 20z, so it probably weighs a bit more than 2oz with a pot, even titanium. And there is the fuel. A 110g fuel canisters weighs 7.5oz. The larger 230g fuel canister weighs 13.3oz. If all you want to do is boil water for a few days you can probably get by with the 110g for an all in weight of around 10oz on your rig. You don't have a flame disperser or wind shield. The Jet Boil burner only weighs 5.1oz, and since you can't balance a pot on it there is no utility in carrying it alone. 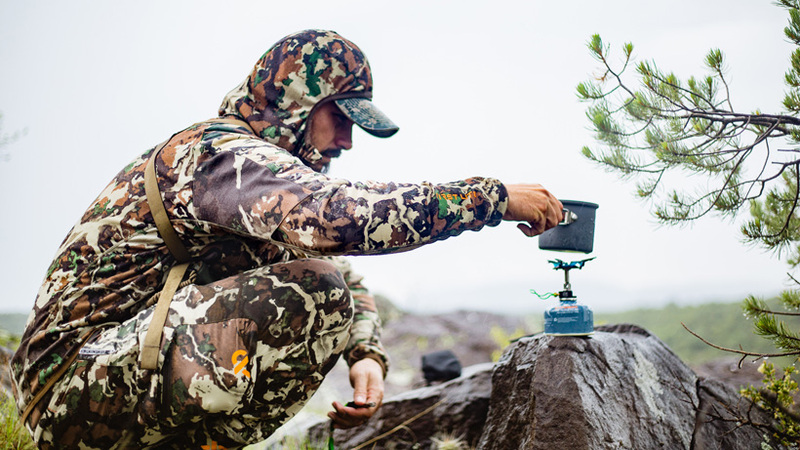 The combination flame disperser, wind block, boiling cup weighs 6.7 oz with the neoprene cover on. Another .9oz for the plastic lid. All in with a 110g canister and you're at 12.7 for the jetboil rig and 7.5 for the canister totals 20.2oz. Just about twice the weight of the rig you use. I'm still sold on the BioLite for an extended stay. 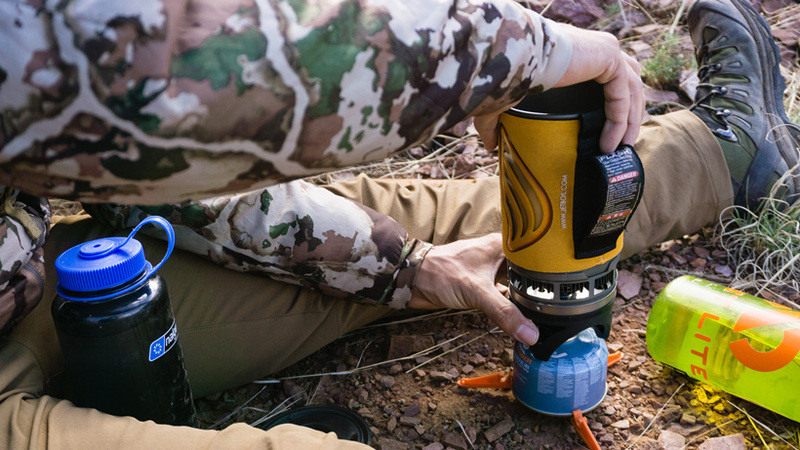 For 12 more ounces than a Jetboil with minimal fuel, you get unlimited fuel, unlimited burn time, the ability to boil water and grill meat, an iDevice charger and a cooking light. The charger won't take the place of a solar charger and storage battery if you're using a lot of juice for cameras and such, but it is adequate to keep an iPhone and an InReach charged with daily applications. That saves a ton of weight and if you are gone for 3+ days, you need something to keep you're map/emergency communicator charged. Thanks for the heads up on the Supalite! The wood burners may be dicey early season area with a fire ban in place, which seems to be the norm out west for the past couple of years. I use the Kovea Supalite stove, only 2 ounces with a 1L titanium pot. Everything including the fuel fits inside the pot, nice, tidy and light. An option not mentioned is wood burning stoves, two of which I’ve used. The Solo Stove LIte (9oz) and the BioLite Camp Stove (2lbs). Both burn small sticks so no fuel is needed. A titanium pot or cup is needed to boil water. There is a huge difference between the two. For reference a Jet Boil weighs 14oz and a small canister of fuel, 7oz, for a total weight of 1lb 5oz. The Solo Lite is just a chimeny. The combustibles sit in a chamber. Air is funneled in the bottom, drawn in by air rising out the top. It does not work well with damp or green wood. The BioLite stove has a thermocouple driven electrical generator that drives a small fan and a charger. It will burn damp and green wood once there are some coals becuase the fan fans the flames. LIke blowing on the fire, without getting light headed. The fan also ups the heat output over the Solo. Both burn pencil to finger thick sticks, of which there are always plenty, even on very small trees. Often you can get dry wood by picking small sticks still attached to trees even in places where everthing on the ground is soaked. Even in a rain. It does take longer to boil water than on a gas stove, but who cares? You’re not packing fuel. You can burn and burn without worrying about conserving a scarce resource. Real fire is also pleasant. The added bonus of either running a small LED light directly over the cooking pot, or charging a phone (where my maps live) in the dark truly make the BioLite the multi tool of cooking. Soto Micro with a windscreen attachment from Soto, and a Snow Peak Titanium Mini set. Windscreen cuts down on some of the efficiency issues. In average conditions I can go 5 days on about 1/2 a 4oz can. Total weight is about 15 oz for stove and fuel. The reduction in size and weight is worth it I think. They do require extra care while operating though. Jetboil. Accept the weight. Boils water quickly has a cup with it and everything fits inside. I have an Optimus Crux and a Jetboil Flash, and love both of them. I would encourage folks to also consider some of the alcohol stoves that ultralight backpackers use. They run on denatured alcohol and can really save you a lot of weight. Many of these stoves weigh 1-3 ounces. And unlike a heavy canister, you can carry your alcohol in a plastic squeeze bottle and only have to carry what you will need for a particular trip. You can make these stoves yourself or buy one online for $20. They do have some drawbacks. They take longer to boil water and they need to be protected from wind. They aren’t for everyone and aren’t right for every trip. But, they offer a great option if you’re really trying to cut pack weight and bulk.